The leaking of the SOFA (Status of Forces Agreement) and the more general strategical framework deal between the United States and Iraq has been so gradual that few surprises remained by the time most details were finally considered to be in the public domain last week. Full story here. The last time Peter Galbraith wrote a book about Iraq, the title summed up the problems of the entire volume: based on his own, highly idiosyncratic reading of Iraqi history, Galbraith prematurely announced “The End of Iraq”. 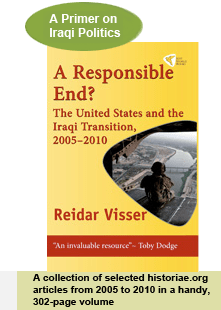 However, in his new book on Iraq, the title is nothing short of brilliant: “Unintended Consequences: How War in Iraq Strengthened America’s Enemies”. That is by all accounts a crisp summary of some of the main problems that have afflicted US policy in Iraq ever since 2003. So does it mean that Galbraith’s latest offering is an improvement on his previous one? Full story here. The reports keep getting more persistent: Nuri al-Maliki is apparently building ties to southern tribes at the expense of – and sometimes to loud protests from – ISCI and Badr. The latest case to receive some attention in the Iraqi press is Nasiriyya and Dhi Qar. Today, leaders of the recently-formed “support councils” (majalis asnad) of Dhi Qar will meet with local security officials, including the police chief (who was appointed by the Iraqi interior ministry and with the support of the Daawa but to strong protests from ISCI in Nasiriyya). At least one Iraqi press report suggests this is an attempt by Maliki to weaken ISCI’s local support base in the forthcoming provincial elections. 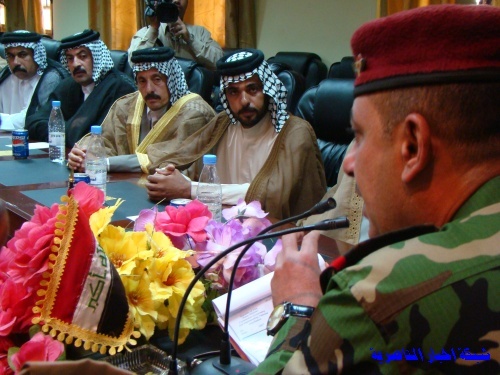 Others who are unhappy about Maliki’s scheme include members of the “Council of the shaykhs of the Dhi Qar tribes” which was pro-government back in 2006. Individuals participating in that council include tribal leaders of Bani Hujaym, which also is represented on the provincial council through a shaykh who is an ISCI member. During yesterday’s vice-presidential debate, Joe Biden repeated the basic thrust of Barack Obama’s comments on Iraq one week ago. According to Biden, “John McCain was saying the Sunnis and Shiites got along with each other without reading the history of the last 700 years”… Full story here.